Length: 7 hrs. 23 min. Fresh air is about to sweep into your life. 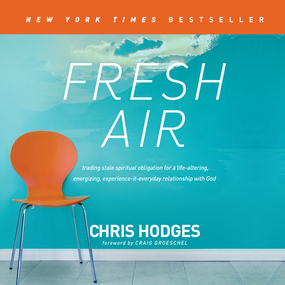 This powerful debut audio book from Chris Hodges will revive your spirit and show you how to be fueled by God like never before. Take a deep breath of fresh air... and experience what it means to live an "I get to" - not an "I've got to" - kind of life every day.